Located northeast of Dayton where I-70 meets I-675, Fairborn is home to approximately 32,000 residents. Residents can enjoy small-town charm while being minutes from big city flair as Fairborn has all the amenities for residential life. Our downtown is home to unique, one-of-a-kind shops and restaurants found nowhere else but Fairborn. Mall shopping is only minutes away at the I-675 and Fairfield Road exit. Our 20 municipally owned parks offer a variety of activities for all outdoor enthusiasts. Fairborn features a highly challenging disc golf course in Community Park, a new splash ground in Central Park, a skate park in Osborn Park, and a nice fossil hunting ground in Oakes Quarry Park. Activities such as basketball, biking, hiking, skating, softball, and tennis can be enjoyed throughout our park system with many parks having new playground equipment. 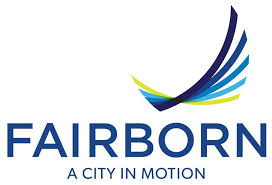 The City of Fairborn is a community rich in spirit with a strong local government and a vibrant downtown. Home to Wright-Patterson Air Force Base and Wright State University, Fairborn has a strong commitment to both tradition and innovation. Centrally located between Cincinnati, Dayton, and Columbus, Fairborn offers a gateway of opportunity for families, businesses, education, and recreation. Fairborn is a family-focused community….come home to Fairborn.